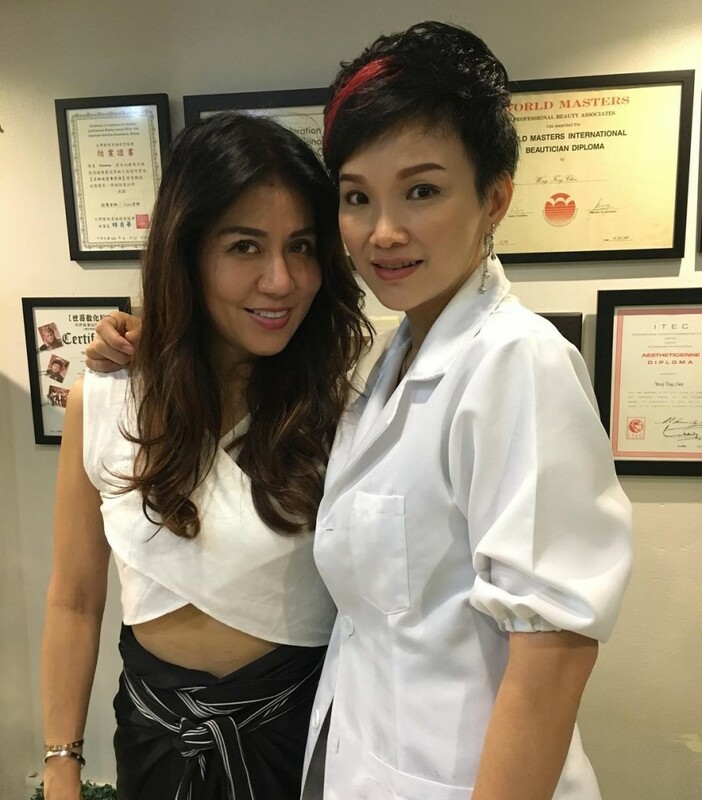 Despite having so many renowned make over artist in Korea, she came to me for my embroidery service. My first ever Korean client. What an honor! Her eyebrow muscles active and make her eyebrow having “sharp arch”. 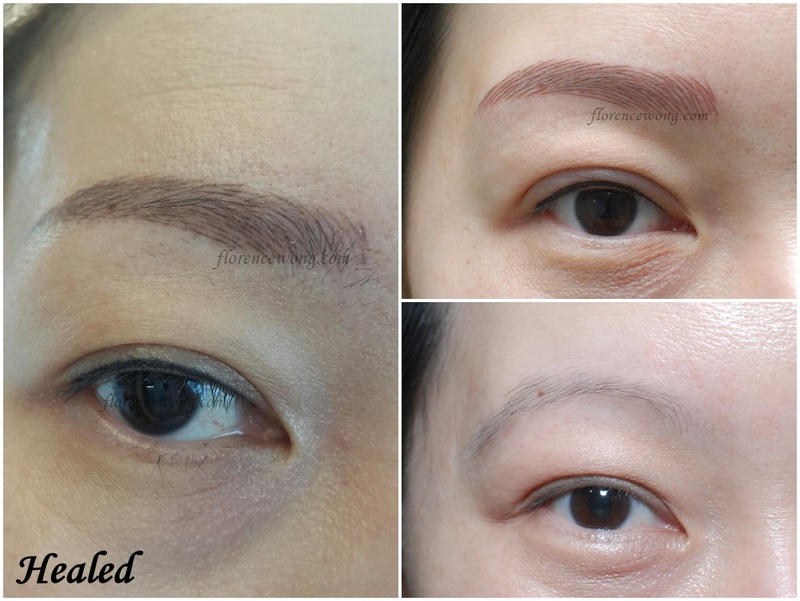 Just bring the arch closer to a rounder shape, that’s it..
To conceal the old tattooed brow, we can first apply skin pigment to soften the initial tattooed brow colour, then only we embroider the hair stroke with new design and new colour. Hair stroke will be more clear in this way. Thin eyebrow shape. Would over plucking affect eyebrow hair no longer growing? 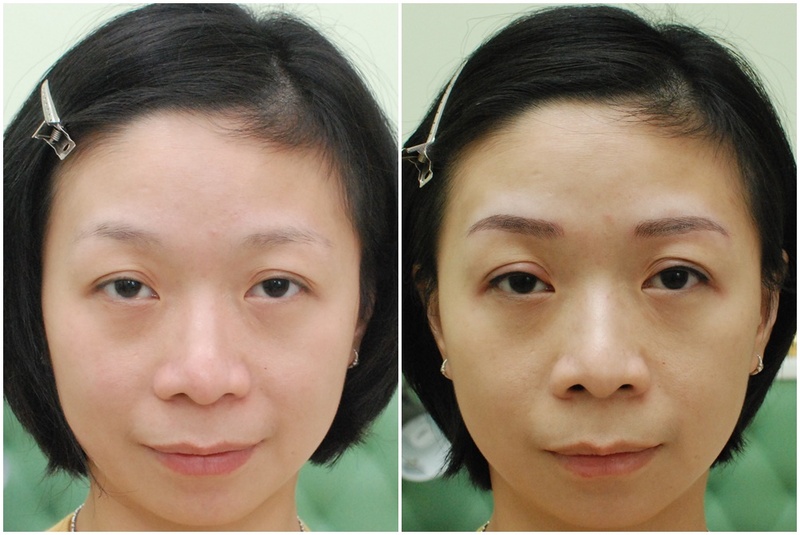 Yes, thicker brows make you look even younger, narrow begin brows will bring out your features. 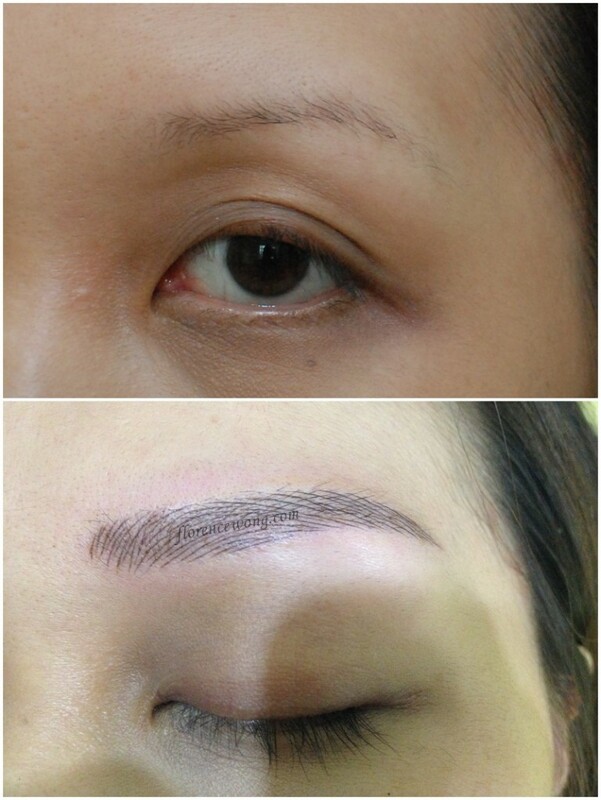 A good design eyebrow shape that suit your face feature will make you look even fresher. Unsymmetrical eyebrows is normal. Just a bit of adjustment on the brow design, it will balance up the unsymmetrical of the brow and bring out the face features. Slight thinner and droopy brow.. 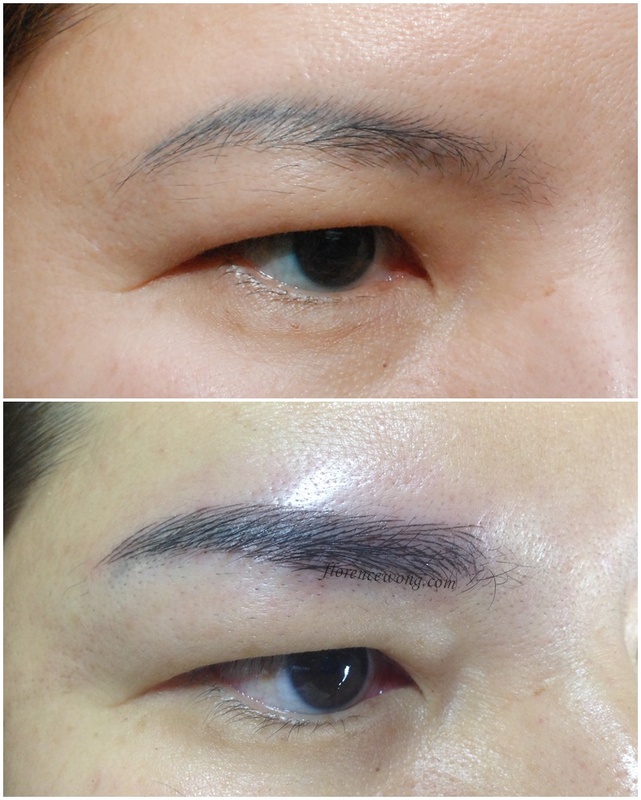 The final result after a month for Elegant 3D Brow Embroidery & Painless Eyeliner Embroidery, turn out as natural as her own brow hair. It’s natural beauty, naked makeup like seeing Korean girls, looking fresh and gorgeous! Thank you for taking care of my work. Born with curvy brow with droopy end brow makes her look sad and confuse. 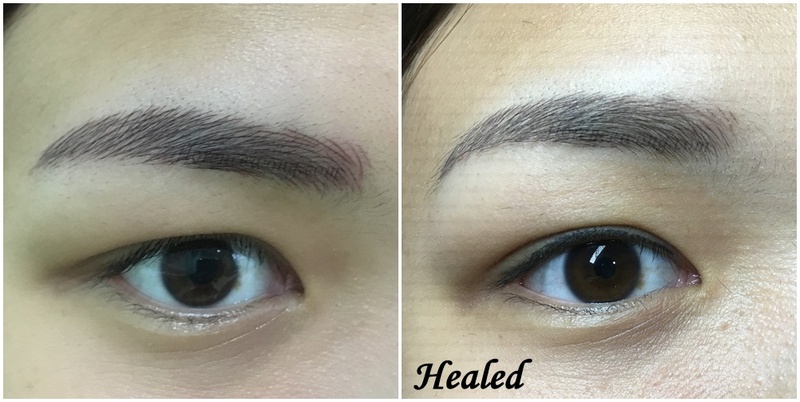 We need to get rid her droopy end brow, lift the brow with the Elegant 3D Brow design and embroider the eyeliner with our Elegant Painless Eyeliner, and she now looks absolutely gorgeous. 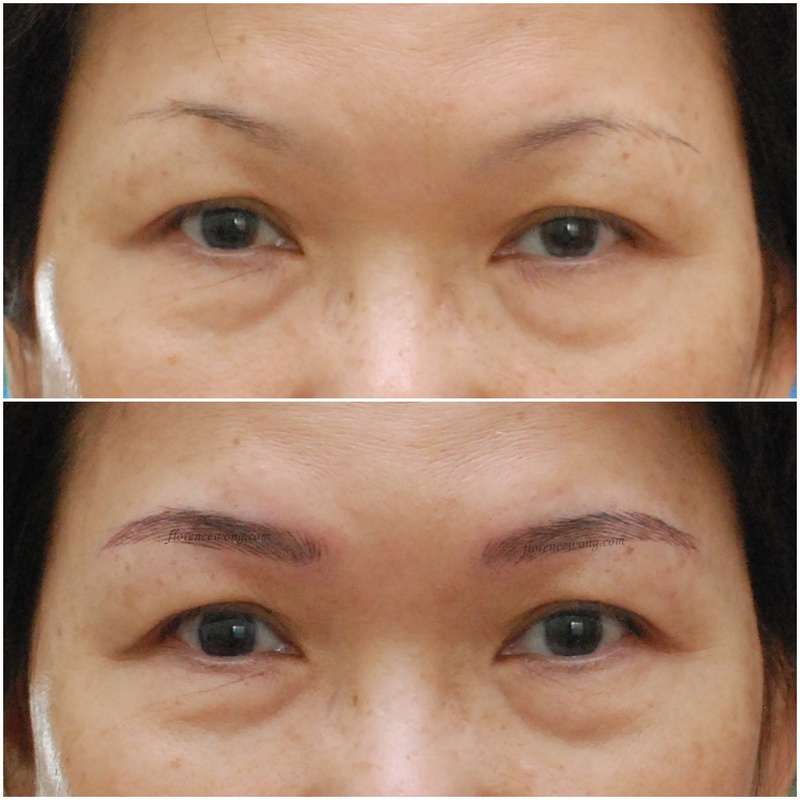 After few days once the scab has peeled off, both the hair strokes of brow and eyeliner are even better defined.